Gregory L. Jantz, PhD, is a popular speaker and award-winning author of more than 25 books, including Healing the Scars of Emotional Abuse and Every Woman's Guide to Managing Your Anger. He is the founder of The Center for Counseling & Health Resources, Inc., (www.aplaceofhope.com) in the state of Washington. Ann McMurray has coauthored several books, including Healing the Scars of Emotional Abuse and Every Woman's Guide to Managing Your Anger. She too lives in Washington and works at The Center for Counseling & Health Resources, Inc. 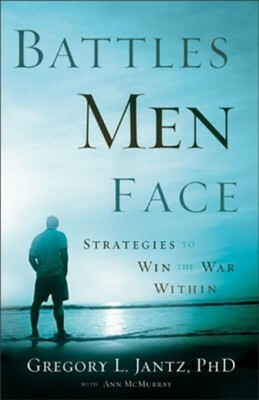 I'm the author/artist and I want to review Battles Men Face: Strategies to Win the War Within - eBook.